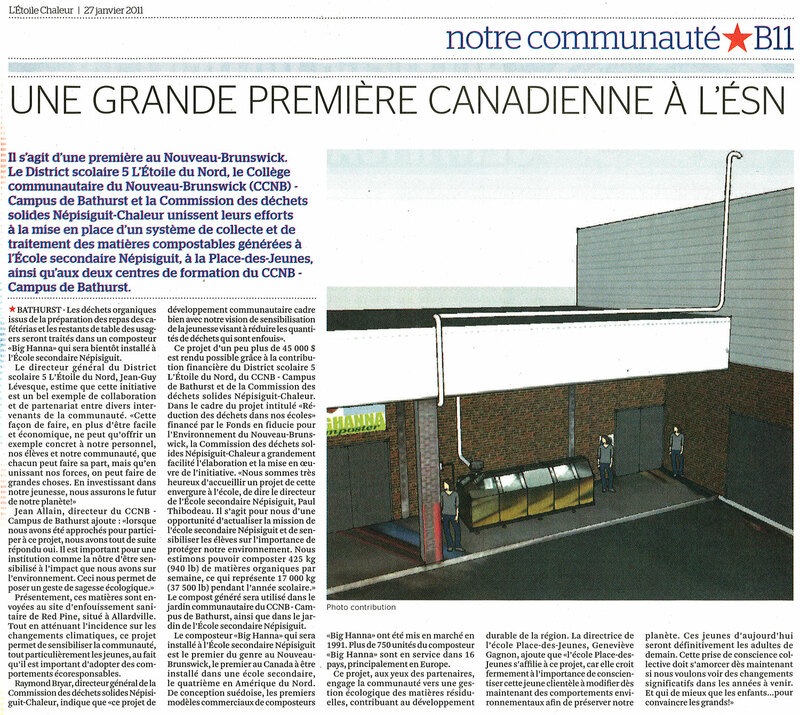 This machine made the press even before it arrived in Canada so we hope that there will be more articles like this now that it has actually arrived! The article had to use the computer graphic and now when the installation is completed this week you can see that the graphic is very accurate. The image was made in Google SketchUp. 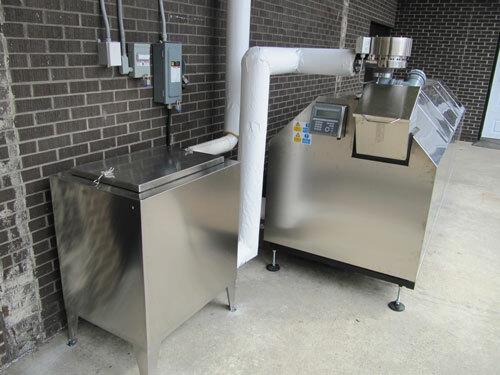 The picture from the site shows the T120 with a biofilter. 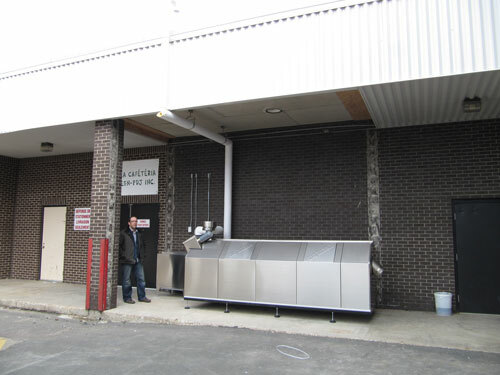 This machine is placed at Népisiguit high school in New Brunswick. The composter will be used as an educational tool to showcase how we can sustainably remedy to landfilling organics. The biofilter is positioned just in front of the machine and has become very popular. The biofilter is very effeciently treating any odours coming from the biological process and is small, compact and easy to maintain.